Asam laksa for Christmas. I know, people usually have the usual turkey and Western do for this Yuletide season. Well, mum did buy loads of lamb and ham home, which I indulged in. Miss the tangy spicy combination with the chewy noodle and fish broth. I cried of course, sadistic that I am. Saravana Bhavan vegetarian Indian food. If you see curry in Japanese, you could most likely be having the milder version which is sort of like gravy rather than the more diluted curry that gives you the kick. 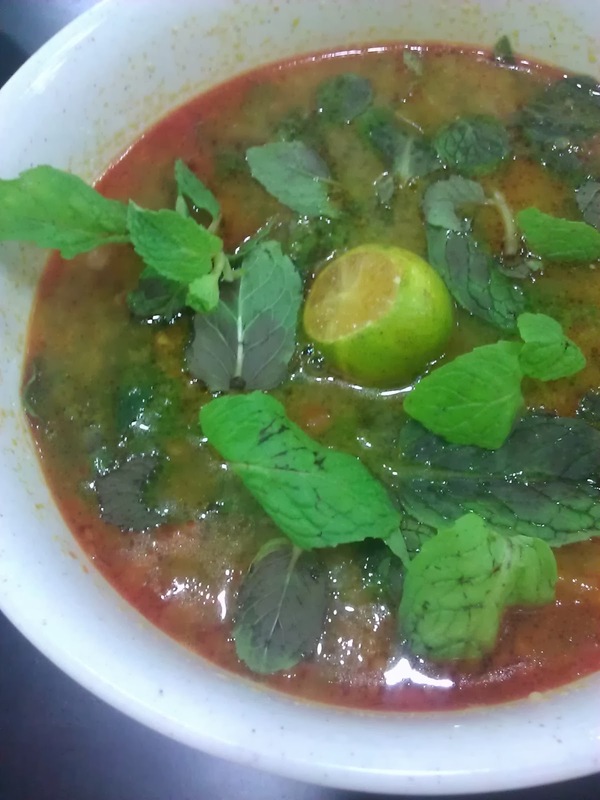 Oh rasam too. Great for colds. Missed the gobi cauliflower and fried bitter gourd. Both great with sliced onions and lemon. Think I ordered too much, so Ms Barbie made me take away. 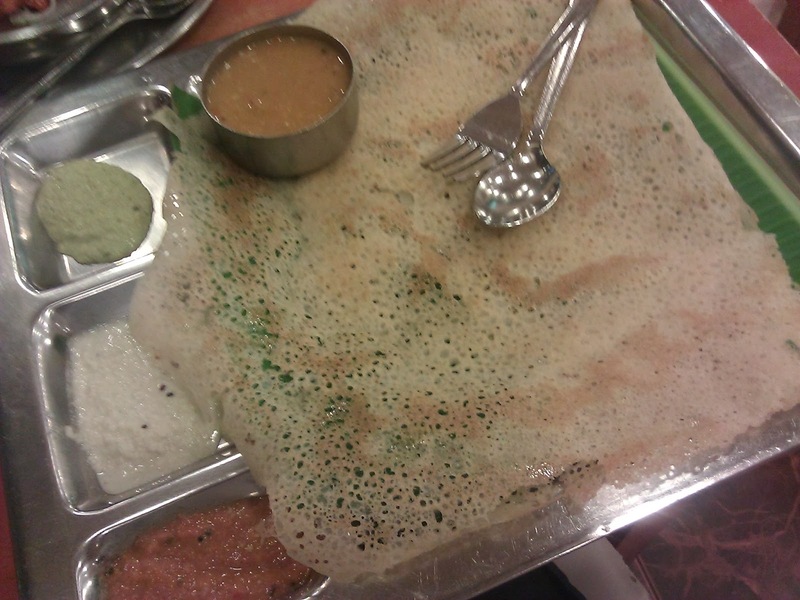 Dosai with the usual sides and sauces. They should have put a disclaimer here, the midly spicy here actually was bits of cili padi hidden in between the dosai. Needless to say, I had to down loads of ice water to salve my tongue. This is not actually Malaysian or even Asian in origin, but some lovely teatime at Publika with the grrlfriends. 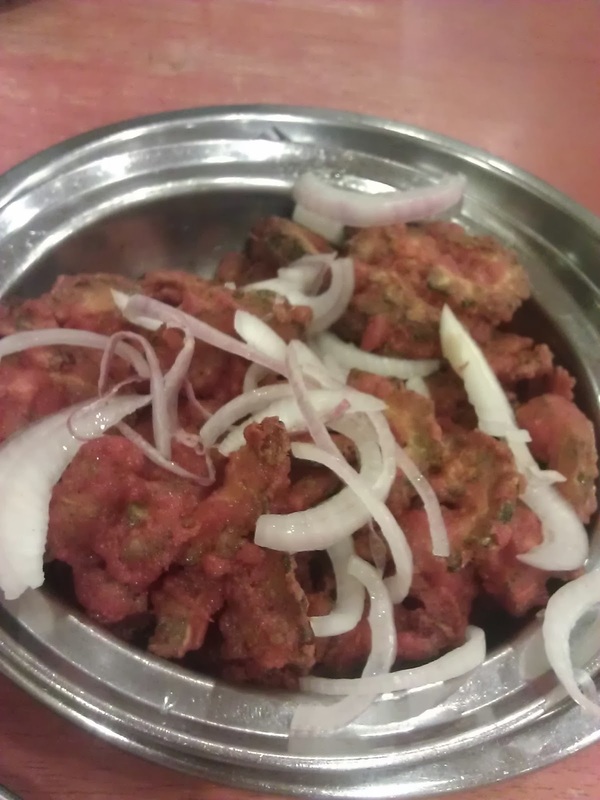 We had dinner at the food court, which surprisingly have pretty good local fare. To make up for a lot of other pictures that I didn't get to take because I was too hungry to savour my beloved Malaysian food. Fat Spoon in Damansara Utama is one of those little cafe which I find appealing - a mix of homely, vintage, creative eatery that puts you at ease with their eclectic interior and fusion Asian food. This was a tamarind shrimp angel hair pasta which made me wish I could eat more of this. My ex-colleagues seemed to enjoy their choices too looking at how fast they finished theirs. Of course, who could NOT miss nasi lemak? 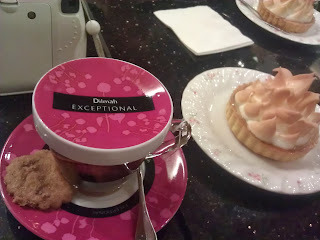 To make sure it's the real thang, I went to this one at the USJ Taipan area which has a queue especially in the evenings. 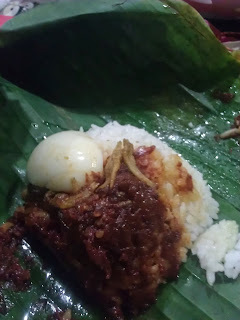 Just as how I like it, with a quarter half-boiled egg, some sprinkles of ikan bilis and nuts, and generous topping of sweet spicy sambal. And all wrapped in fragrant banana leaf. 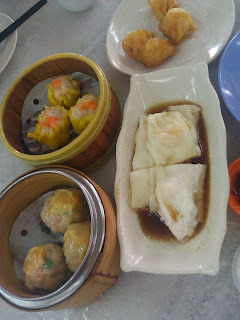 The other thing that I missed a lot was dimsum, especially Hong Kong chee cheong fan. Well, any types of chee cheong fan is good enough for me. Something I can't get here at all. Sure, there are some Chinese restaurants in Chinatown, and even stalls that seem to sell dumplings and such, but I have not found anything close to authentic. I was glad Lai Ying was game enough to indulge with me. Though just writing about this post now makes me salivate again... I wish I had more! 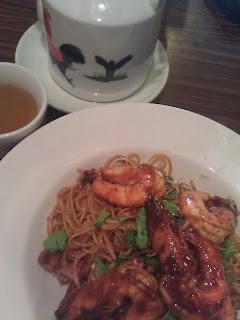 So this is not Asian, but I wanted to remind myself how pasta tasted like in Malaysia. 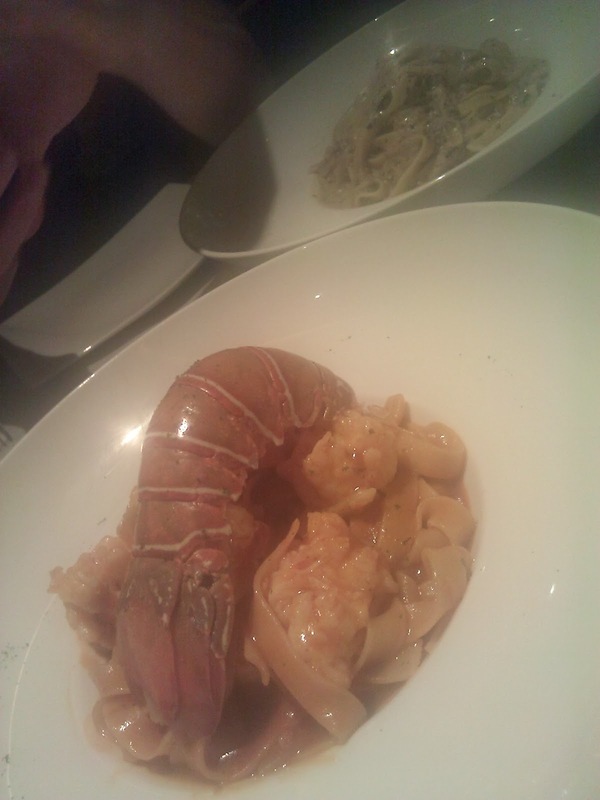 There are plenty of Italian restaurants in Kobe, and some are kinda Japanese-Italian, or even pseudo Italian, so it's interesting to try the different variants. I had missed the Winter Solstice event, so Dad made some extra for me. 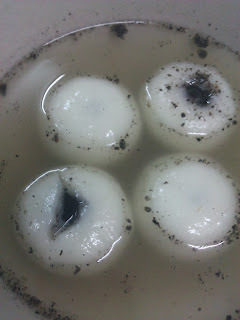 I didn't manage to take the actual photos, and these are another type with red bean fillings in them. 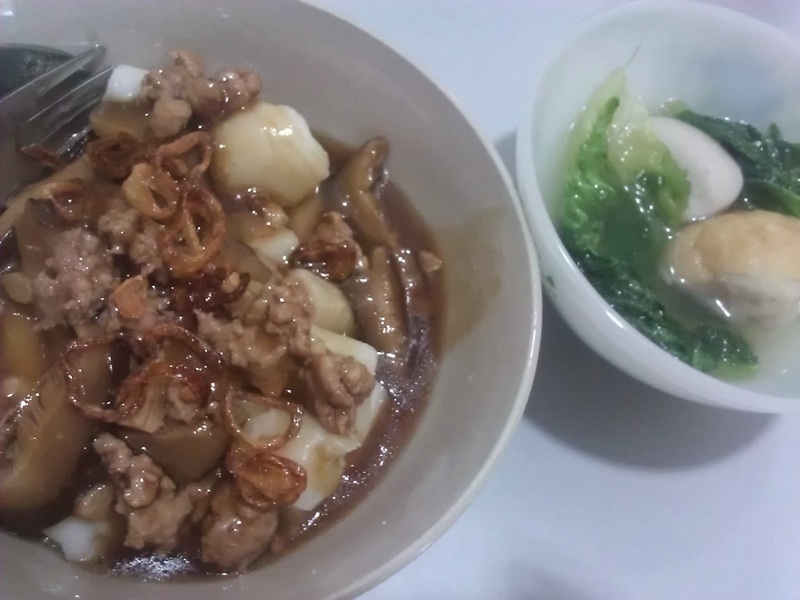 I'm so glad my Mum actually took the trouble to make the one dish that I really missed - her mushroom sauce chee cheong fan. It's not too difficult a dish actually, but there's just something about simple home cooked food. Sprinkled with onion oil and a dash of freshly ground pepper, it's best eaten fresh from the steamer. One of the recommended Indonesian restaurant, Ayam Penyet in the Curve. 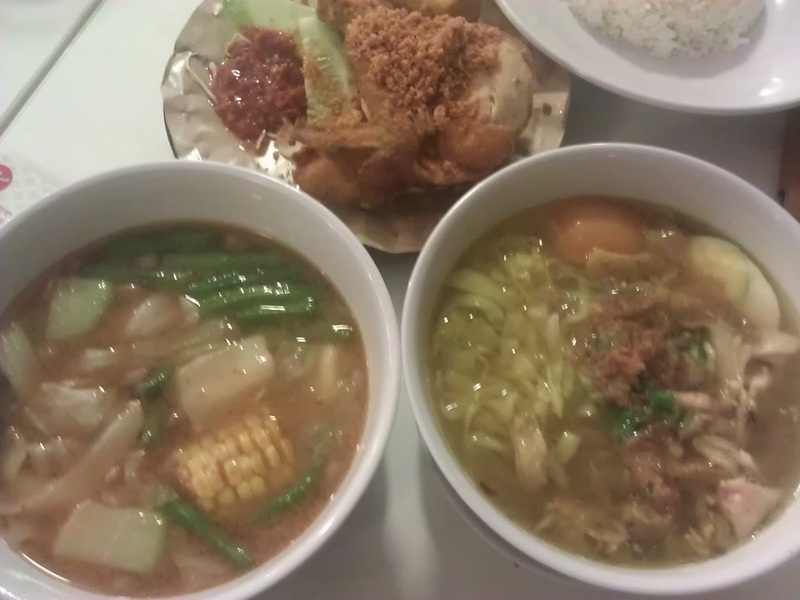 By this time I was getting accustomed to the spices of South East Asian food, and enjoyed the soto. I have seen some Indonesian restaurants around in Kobe, but I have to ask my Indo friends for recommendation so I don't be disappointed! 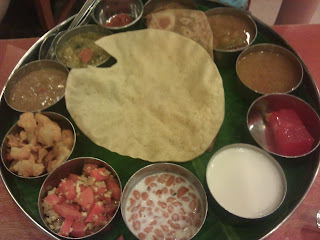 Last but not least, mamak food! One of my usual mamak hangouts at SS15, the K3K Benta Kaya was closed down and replaced by, of all things, a burger joint! Had to opt for something next door, which felt like another Old Town Cafe. 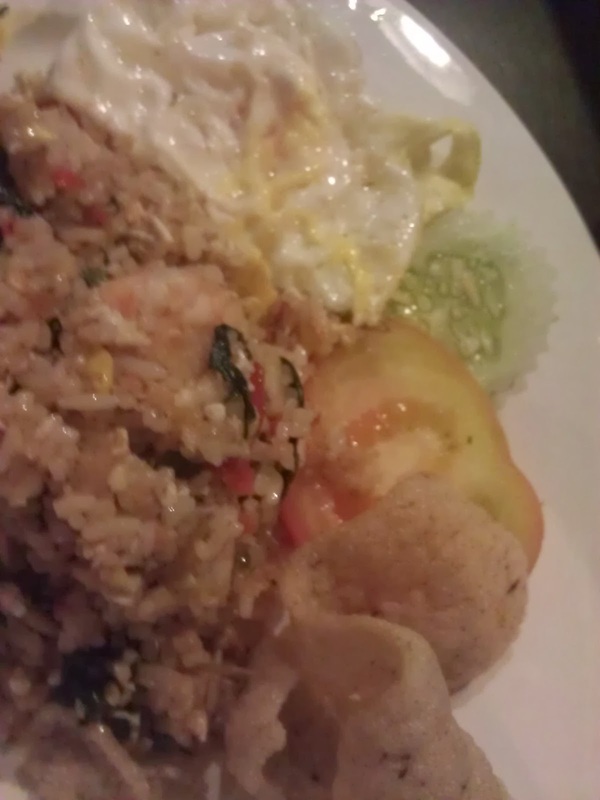 Nevermind, at least their nasi goreng kampung was pretty reasonable. 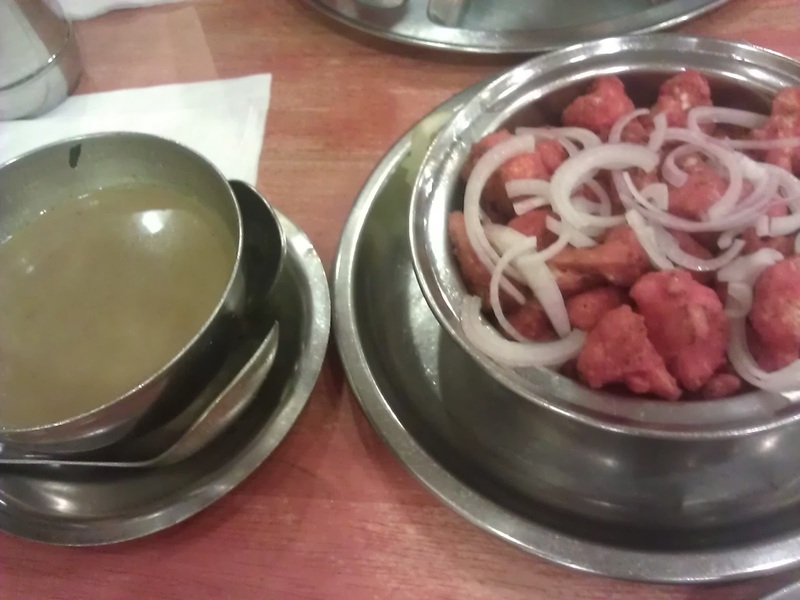 It was about 10pm+ by the time I got there but was amazed I could finish this plate. Others that made my day included Nyonya dishes, Taiwanese food, Peking duck, Cantonese stir fry, Nando's, Shanghainese, Szechuan, and Penang food. I'm thankful for my parents who tried to feed me with as much chee cheong fan as possible >.< And I made sure I included delicacies from all the major ethnicities! 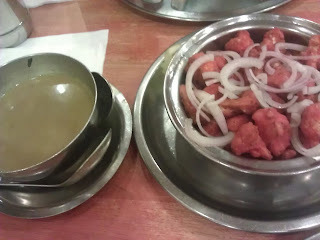 I know talking about ethnicity in our country at such a time may well provoke "passionate" reactions, but I'm proud to have all these food that I can freely eat and indulge in. 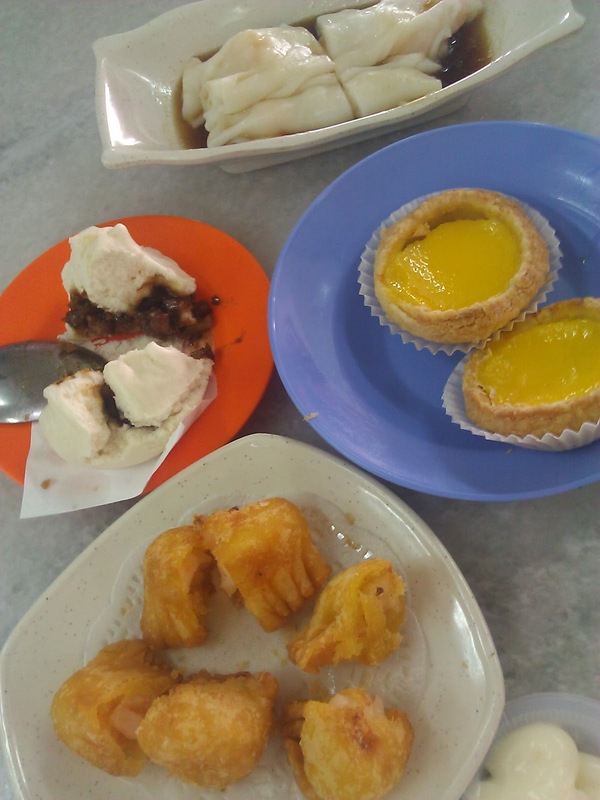 If only the people in power could appreciate this - the myriad glorious food that we have are just like the people that make them, and live on them - without them, there is no Malaysia.